Have Employees Who Are Disabled And Unable to Work? THIS information is for YOU! On February 24, @shrmnextchat chatted with @Eric_B_Meyer about "Accommodating Disabilities in the Workplace." In the United States, one out of every five adults has a disability, according to a 2015 study published by the Centers for Disease Control and Prevention. 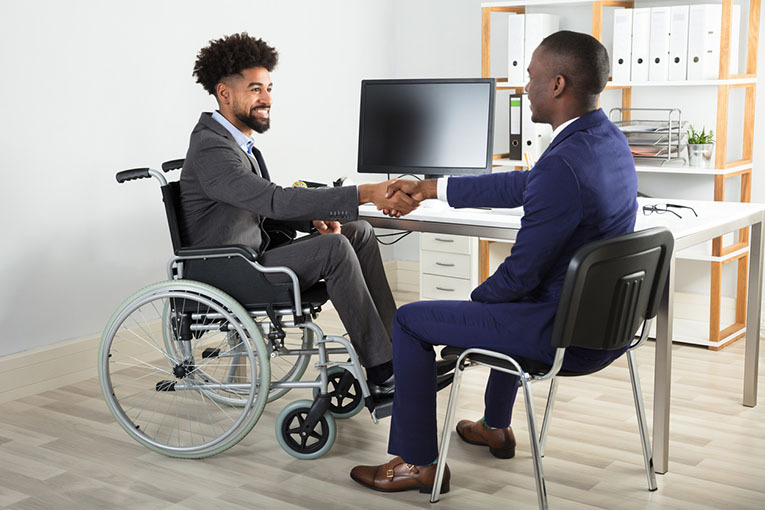 On July 22, @shrmnextchat chatted with the EEOC Commissioner Chai Feldblum (@ChaiFeldblum) and Jonathan Segal (@Jonathan_HR_Law) about the 25th Anniversary of the Americans with Disabilities Act. Did you know one out of six people has some type of disability? That makes one billion people with disabilities worldwide, according to the World Health Organization in 2013. With that in mind, has your company implemented ways to become more disability-friendly? There are many opportunities to make a work environment accessible for people with disabilities.